In Texas, we have a Bluebonnet Reading List for students in grades 3-6. Every year in August I stand in front of classes and show my powerpoint and booktalk the books over and over again. This year I decided to do something different. After seeing Digital Goonies present about QR codes at TCEA last year. I made a Bluebonnet QR code activity for the students. 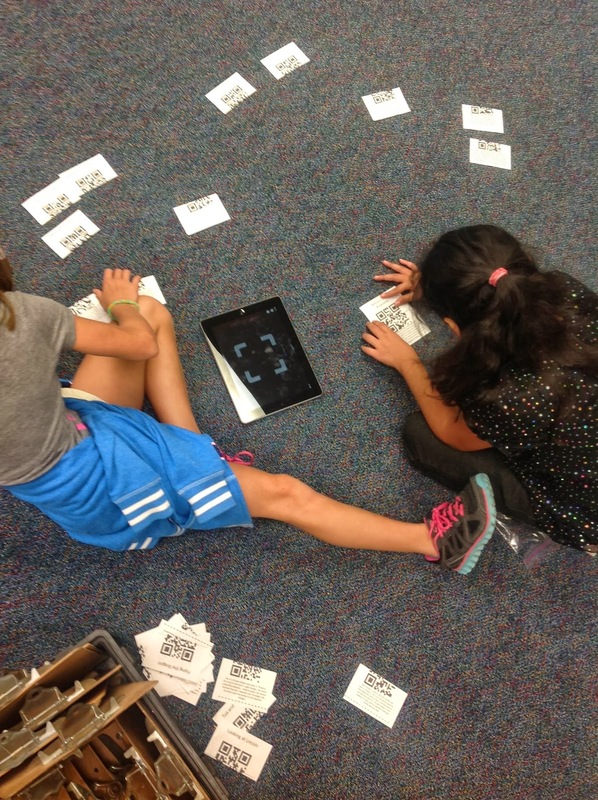 I made 20 QR codes that had positive messages on them, “Great!”, “You got it!”, “That’s right!”. Then above the codes I put the titles of the books and below the code I put a short abstract or summary. I cut the codes in half and put each set in baggies. Each group of kids had an iPad and a baggie with the codes. They had to read the abstract and decide which title it went with, match up the two halves and scan to see if they were right. (I did show a PowerPoint of the covers beforehand just to give the kids a visual). The kids (and teachers) LOVED it!! Some of the kids even said, “Mrs. Romine, we are inferencing!. I feel like the kids got so much more out of it, even if they only got through 5, than if I had stood up and book-talked for 25 minutes. Score One for Mrs. Romine! Just checking.... so the abstract paper and the Cover/Title were on the other. And the QR codes were the same? Hi Julie - so I made 20 different QR codes with "Good Job! ", "Great", "You Did It" sayings on them. 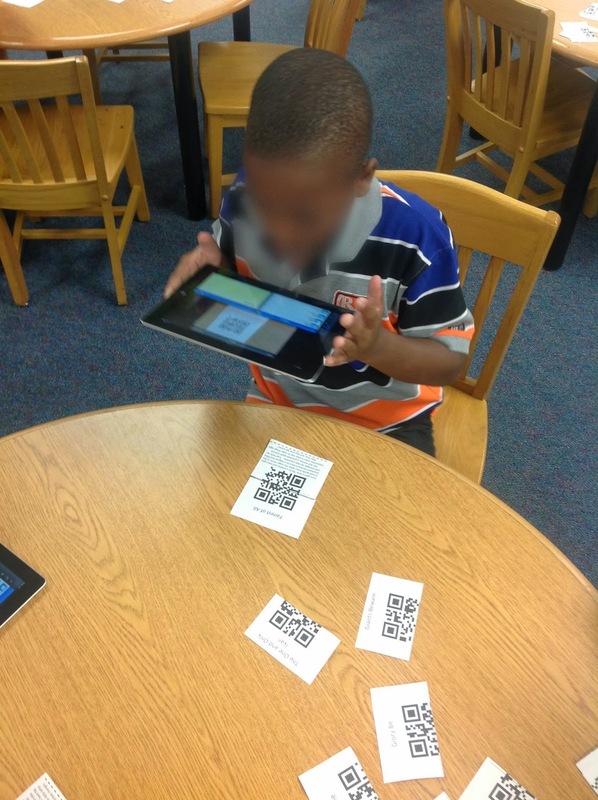 Then I put the titles of each Bluebonnet above a QR code and the summary of that book under the QR code. Then I cut the codes in half. So students had to read the summaries, decide what title it went with, put the two 1/2 codes together to make a full code and scan it to get the message. Does that make sense?